If you're in the market to become a sobbing mess tonight, do we have the thing for you! 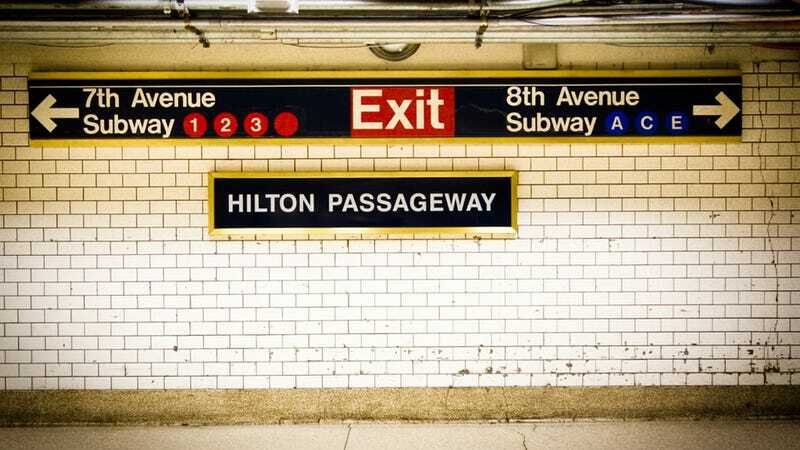 A story about a couple who finds a one-day old baby at the A/C/E subway exit on Eighth Avenue, and proceeds to adopt him at the urging of some magical, soothsayer judge. Three months later, Danny appeared in family court to give an account of finding the baby. Suddenly, the judge asked, "Would you be interested in adopting this baby?" The question stunned everyone in the courtroom, everyone except for Danny, who answered, simply, "Yes." "But I know it's not that easy," he said. "Well, it can be," assured the judge before barking off orders to commence with making him and, by extension, me, parents-to-be. My first reaction, when I heard, went something like: "Are you insane? How could you say yes without consulting me?" Let's just say, I nailed the "jerk" part of knee-jerk. Seriously, there is some Harry Potter-level sorcery involved here. Or, you know, excellent intuition. OK, so then the couple becomes foster parents, and oh my god, OK, this is just ruining it. Read the story so we can all hold each other and cry about how sometimes the world is wonderful.